Buddy West is a successful real estate veteran, accomplished speaker and author. 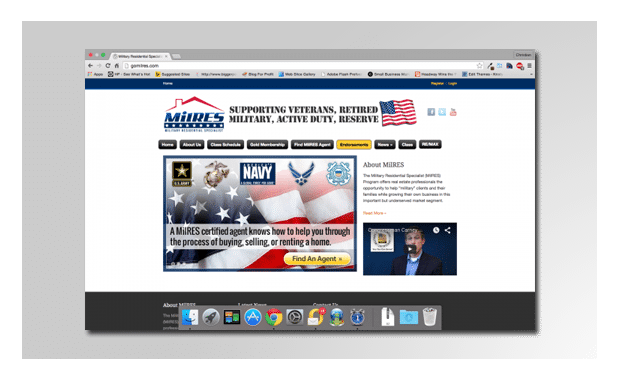 He’s now partnered with others in his field to create a professional real estate designation to support military veterans, retired military, active duty and reserve. Talk about giving back to his community. We’re honored to be able to help support his mission in our own small way. We see his operation growing rapidly, and he’s regularly contacting us to update his site. The news is always positive. They’re getting very close to having designees in all 50 states. It’s so exciting seeing our clients succeed at doing what they truly feel called to do!